Ummm... how is it December already?! Only 31 days left in 2014- wow! Ok, let's talk about holidays. They are wonderful. And, if you're anything like me, they can be a little stressful. Matthew and I spent the last five and a half days traveling between his family's and my family's homes creating lots of fun memories with our families. And I spent a lot of time eating foods I don't normally eat and struggling to gain activity points while out of my routine and my spaces. But, reflecting on how I used to spend the Thanksgiving holiday- stuffing my face any chance I got- this year's plan was a definite improvement. Sunday- Walked at all of the commercial breaks during Sunday afternoon football. I'm serious. Yeah, so this ActiveLink is a bit obsessive. Since having a goal to reach, I have been a bit of a maniac in making sure I reach my 100% each day- including walking around the house late at night to get the full seven points. Which is a good thing, I think. 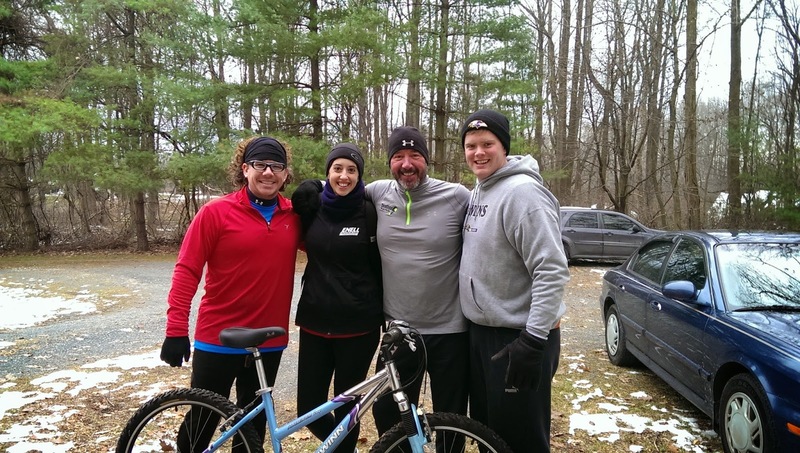 Matthew, Me, Dad, and Adam (my brother) before we ventured out for 21 chilly miles. In addition to Thanksgiving dinner with Matthew's family, I also had a bunch of leftovers at my mom's and then had another feast on Saturday at my dad's house. By some miracle, I'm starting this week only -3 PPV. New this week, I tried chicken soup at Chic-fil-A (6 PPV), hot chocolate with marshmallow fluff (3 PPV), and my mom's famous sweet potato casserole (one million PPV). 146.2 as of 11/28/14 weigh-in. 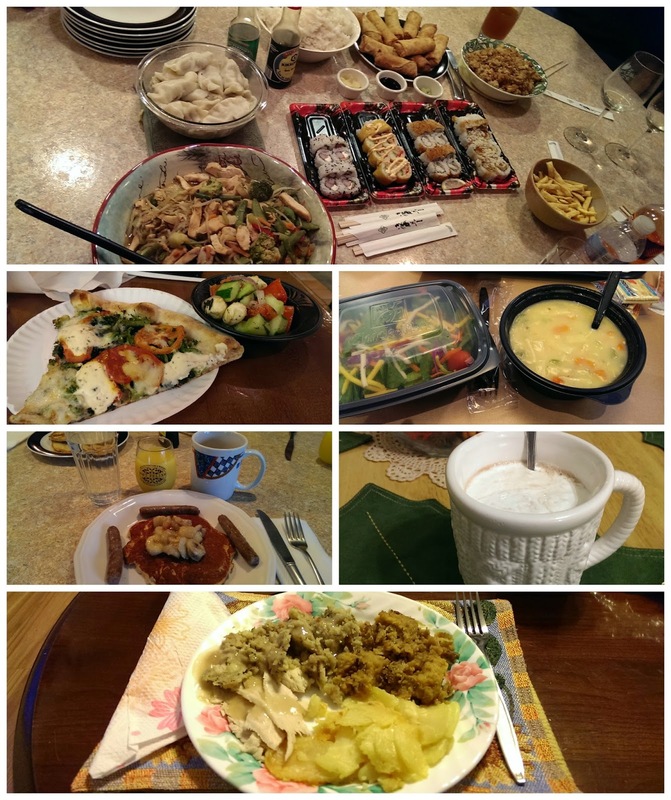 Even though I gained, I'm still proud of myself for getting to a meeting and tracking everything I ate. Sometimes you have to focus on the little things you can control and remember that a temporary gain on the scale isn't failure; it's feedback. And I'm choosing to take this feedback, make some adjustments, and tackle the last 31 days of 2014 with a purpose. It doesn't look like number one is going to happen. In fact, in the whole month of November, I only lost two pounds. It's pretty unlikely that I'll lose seven pounds in the next month. So I'm revising that goal to weigh less than 145 by 1/1/15. For number two, I'm really hoping to start running this week! It has been almost 10 weeks since the stress fracture diagnosis and all the signs of healing are positive. Stay tuned here for updates! QOTD: How will you spend the last few weeks of 2014?